On January 24, all employees of the Foreign Intelligence Service of Ukraine celebrate their professional holiday. Foreign Intelligence Service Day was officially established by President Petro Poroshenko in November 2018. During the Soviet era, the KGB of Ukrainian SSR was responsible for carrying out foreign intelligence. It was a republican department of the all-Union KGB (Committee for State Security). After the dissolution of the Soviet Union, it was succeeded by the Security Service of Ukraine (SBU). Foreign intelligence was carried out by the SBU’s Intelligence Department and regional intelligence divisions. In 2004, President Leonid Kuchma signed the Decree “On the Foreign Intelligence Service of Ukraine”, approving the establishment of an independent intelligence service directly subordinate to the President of Ukraine. On December 1, 2005, the Verkhovna Rada (Ukrainian parliament) passed the Law “On the Foreign Intelligence Service of Ukraine”. 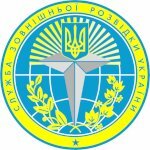 The Foreign Intelligence Service of Ukraine (FISU, SZRU) is an independent state body responsible for carrying out intelligence activities in various spheres (economic, political, military and technical, scientific and technical, ecological, and information), countering transnational organized crime and terrorism, and safeguarding Ukrainian missions and citizens abroad. The structure of the SZRU includes the Chairman’s Office, the Human Intelligence Department (HUMINT), the Signal Intelligence Department (SIGIT), the Information & Analysis Department, the Foreign Countermeasures Department, the Special Technical Department, the Internal Security Department, the Logistics Department, and the SZRU Institute. The total personnel of Ukraine’s Foreign Intelligence Service is 4,350 people, including 4,010 service personnel. As it’s already been mentioned above, the SZRU is subordinate directly to the President of Ukraine, who appoints the Chairman of the SZRU. As of November 2018, the Chairman of the Foreign Intelligence Service of Ukraine is Yehor Bozhok. The various aspects of the SZRU’s activity are overseen by the National Security and Defense Council, the Verkhovna Rada, the Accounting Chamber, and the Prosecutor General’s Office on behalf of the President. President Petro Poroshenko officially established Foreign Intelligence Service Day by his decree, signed and made public on November 22, 2018. The main task of this professional holiday is to honor the contribution of the SZRU employees to protecting the country’s national interests, as well as safeguarding its citizens and state-owned facilities abroad. In addition, Foreign Intelligence Service Day is designed to help revive the national intelligence identity and create a foundation for the new traditions of honoring the achievements of the SZRU.